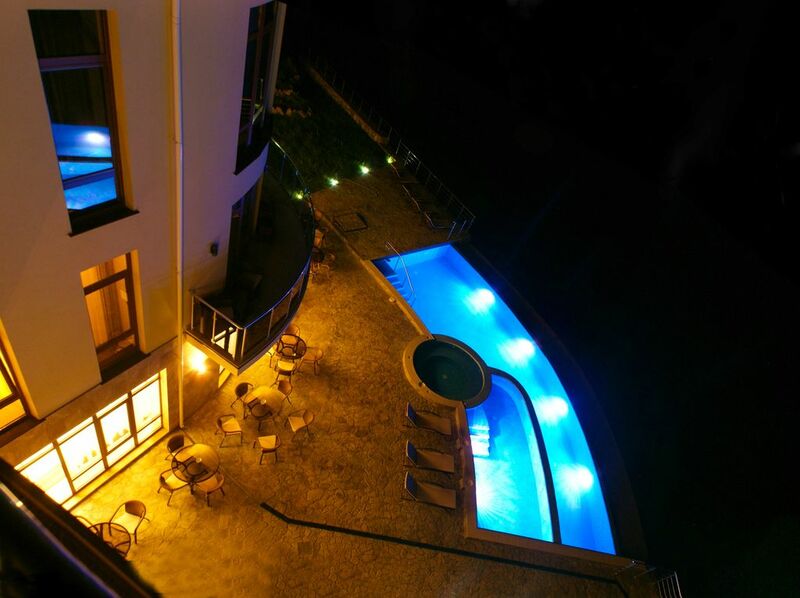 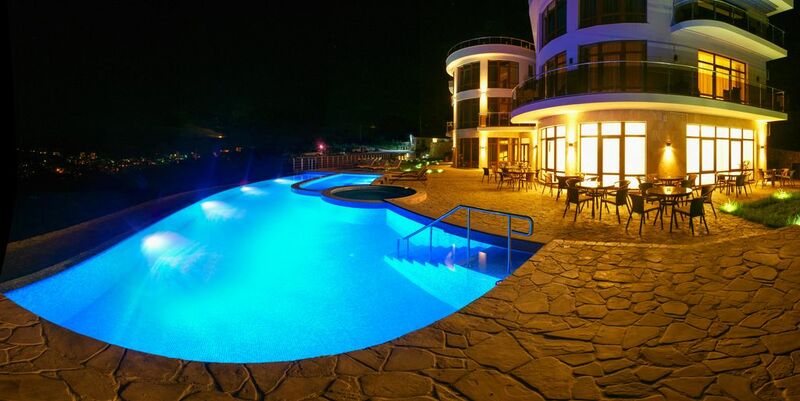 One of the main attractions of our hotel is open swimming pool with heated water, counter-current swimming and led multicolor backlight. 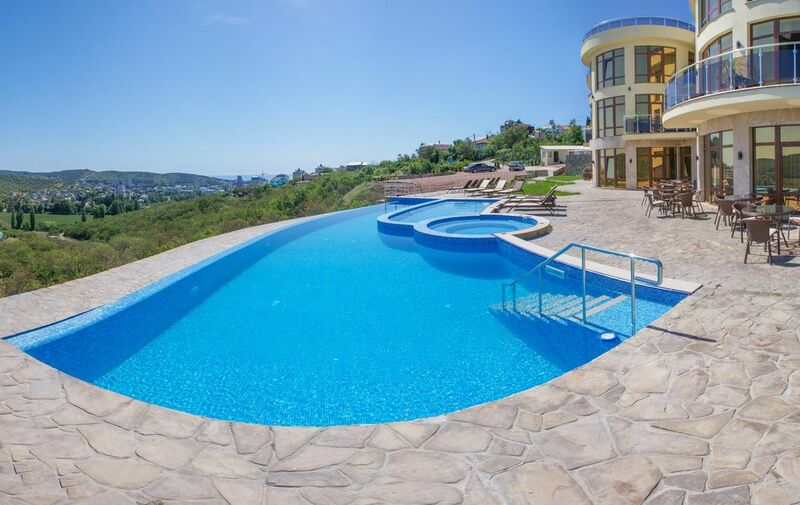 In the pool area of 130m2 there is a Jacuzzi and a children’s pool. 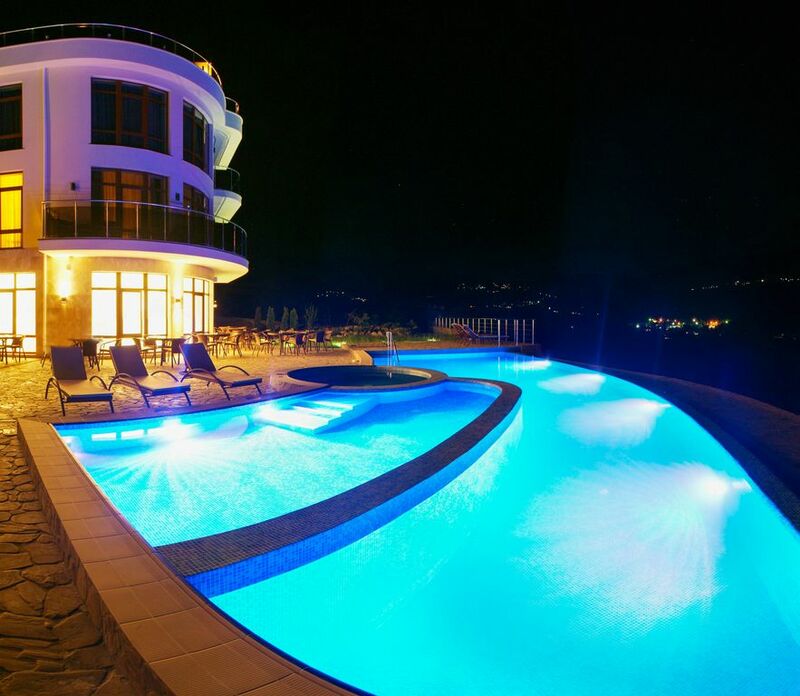 Due to the special design being in the swimming pool you will be able to see how the surface of the water merges with warm Crimean sky. 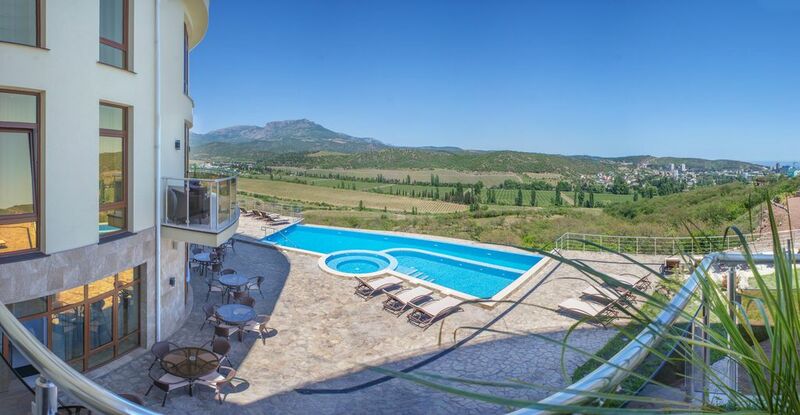 In the morning you can enjoy your breakfast on a summer site near the pool with the beautiful views of the mountains, have sunbathing at noon and to dinner looking at romantic sunset in the evening.